SKPVIS provides a natural and secure adobe to blossoming children, providing a homely care to each individual. 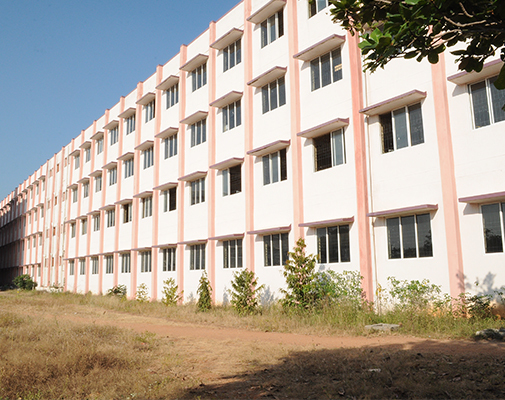 The hostel is located in the residential campus of the school. The hostel has well-maintained lush green gardens in dormitories in accordance to their age. They follow a prescribed schedule which is strictly adhered to in order to bring about discipline in their routine and create a healthy routine for a lifetime. It started with the jogging in the morning and ends with evening sports and special coaching. Their weekends are scheduled with unlimited fun & frolic with indoor & outdoor cinema, cultural programs, campfire, adventure outings, picnics & leisure hours. Hostel warden, house masters and house mothers are at the complex round the clock ensuring utmost attention. High class Veg and Non-Veg dishes with unlimited portions.. Exclusive access to the library, AV center and computer centre. Dedicated faculty to provide individual attention in academics / sports.